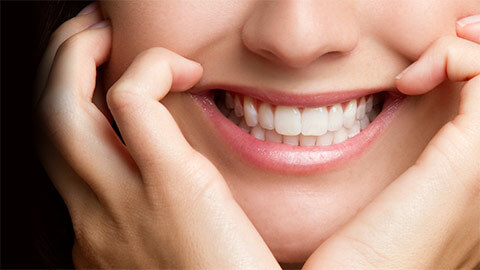 Explore your options for restoring missing or damaged teeth. 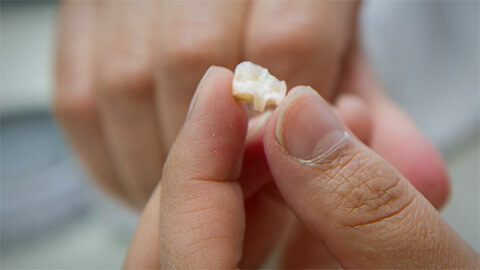 Sometimes, despite our best efforts, a tooth may need a little extra work to look like its old self. That’s where dental restoration comes in. It can be as simple as a filling to restore a small cavity in your molar, or as complex as replacing several teeth via a bridge. No matter what your need, trust the professionals at Napa Valley Dental Centre - Kleinburg Dentistry to assess and perform your restoration with skill and care. Most of us are no stranger to fillings, but our staff are filling experts! When your tooth has been cracked, damaged, or has a cavity, we use the latest in dental technology to fix it. Modern fillings have come a long way, and Dr. Braverman will help you decide which kind of filling is best for you, such as composite resin (which resembles the colour of your natural teeth) or traditional silver. When a tooth has had a root canal, been heavily filled, or can’t be repaired any longer, a crown is an excellent option. The crown completely covers a tooth, providing strength and structure with a natural look. Inlays are used to restore decayed or damaged teeth, or to replace older-style fillings. Inlays are made from porcelain, gold, or composite resin, and fit snugly within the contours of your teeth, making them a great choice for their natural look and feel. They’re also a smart choice for a healthy mouth - inlays are fitted so precisely that they often prevent any further tooth decay. Onlays are very similar to inlays, but provide more coverage and to a wider area of the tooth. As an alternative to crowns, onlays are used when the affected tooth has a large amount of decay or extensive trauma. The onlay is fitted just as neatly as an inlay, but provides more coverage, even down over the edges of the tooth if necessary. Bridges act just like their name implies: by spanning a space, replacing a gap made by missing teeth. The dental bridge is made of artificial teeth, anchored by a support that adheres to healthy teeth on both sides of the gap. When you have one or two missing teeth, a bridge can restore your smile, comfortably and successfully. When your teeth need restoration, Napa Valley Dental Centre - Kleinburg Dentistry is there to provide you with the quality options you need, and the expertise to help you make the right decision. If you need more information about Dental Restorations in Kleinburg, contact us today.